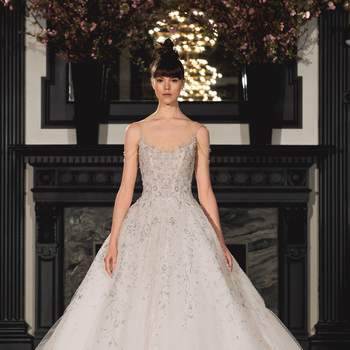 Reminiscent of an enchanted garden, the new Spring collection from Ines Di Santo is set to shake up bridal trends for 2019. 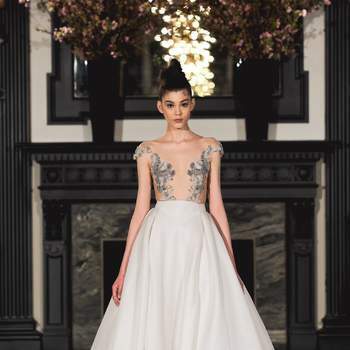 The modern bride tends to go on an extensive wedding dress search as her planning commences, especially after years of dreaming of her wedding day. 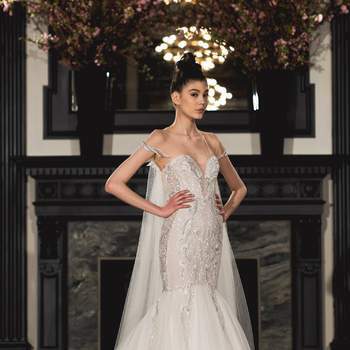 She seeks a design that combines the contemporary and fashion-forward with the age-old bridal traditions, synonymous with elegance and romance. 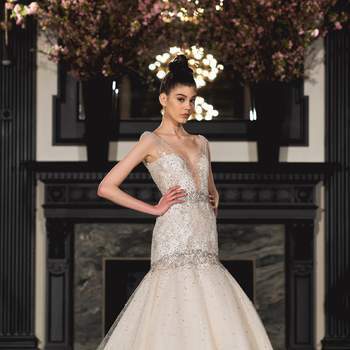 Well, for all this and more, look no further than the new collection from Ines di Santo. 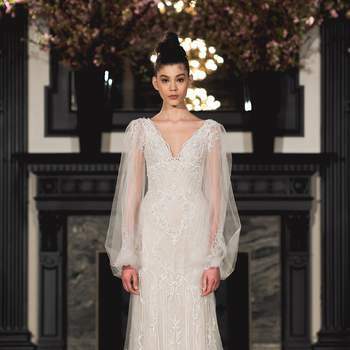 In this gallery you can discover an incredibly varied collection, from daring short dresses and jumpsuits to more traditional voluminous princess cuts or sensual necklines. 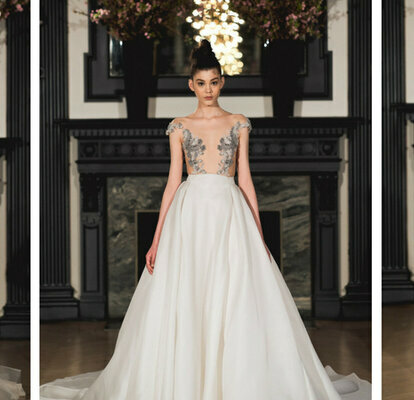 The difference with this collection is that every piece has a statement or an exquisitely unique touch, which means that every bride, no matter her preferred dress shape, fabric or cut, will have a touch of originality to her look. These additions include whimsical feathers, dramatic capes, beautiful ruffles, darker coloured beading or intricate illusion bodices. One dress that really catches our eye is the ELLIE dress. 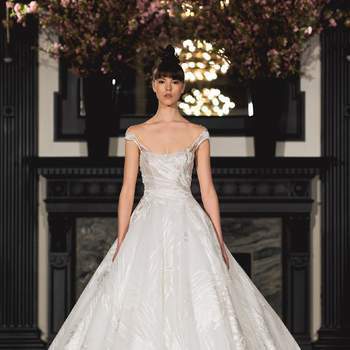 This glamorous number is the epitome of the Ines Di Santo combination of daring touches with traditional elements: a princess-style skirt structured with lightweight satin meets a minimal jewelled embroidery of the chest. Another design to check out, if you’re seeking simple elegance, is the EMMA gown. This dress has a straight cut silhouette, sophisticated sleeves and a subtle yet sensual plunging neckline.